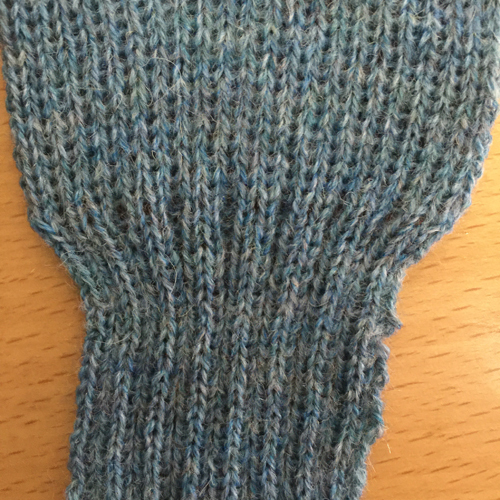 This cast on (on any ribber) is capable of giving a softer, looser start and is good for fabrics that stretch. 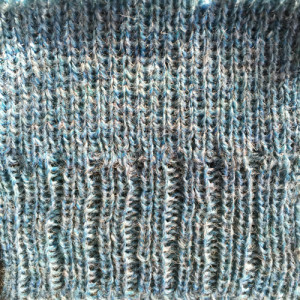 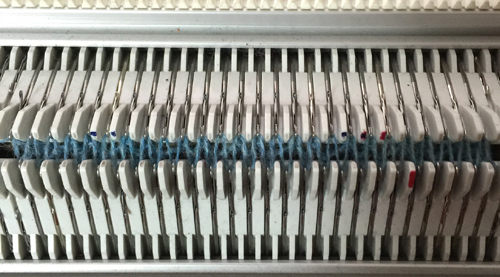 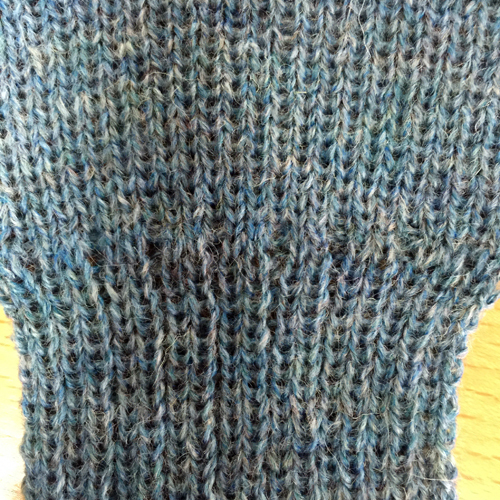 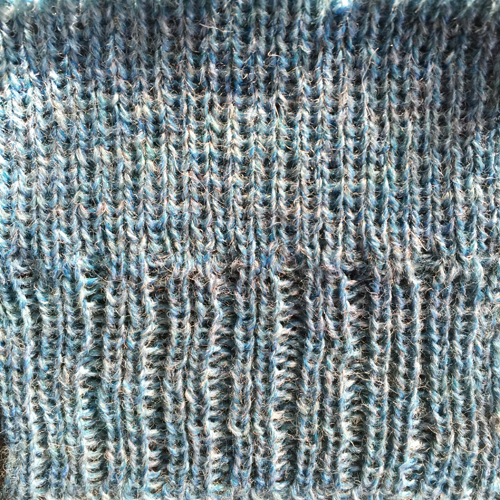 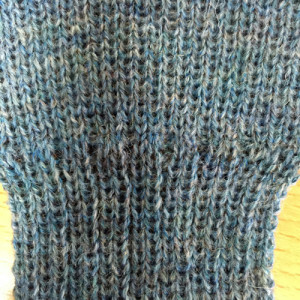 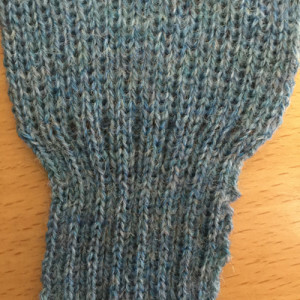 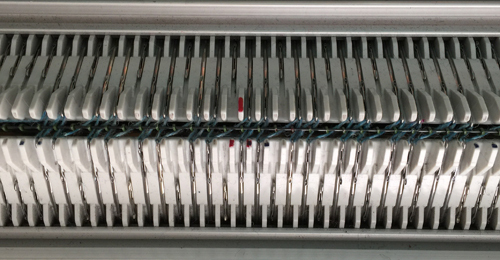 When experimenting, check alignment of needles physically before proceeding for knitting rib on all needles. 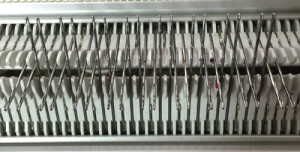 Often manuals give suggestions as to “needle rule” for each type of rib. 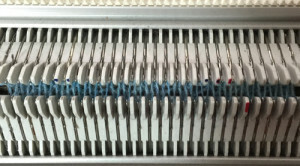 The sequence below is knit on a Passap. 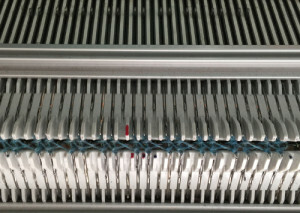 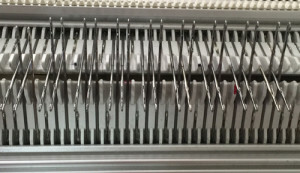 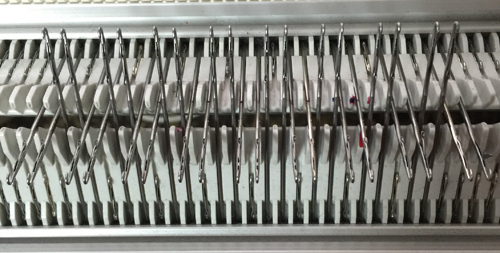 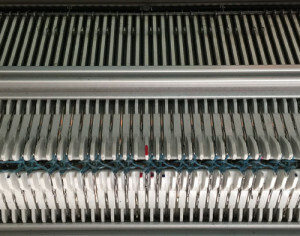 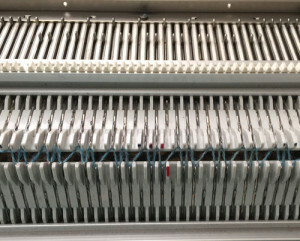 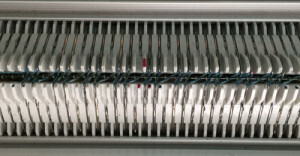 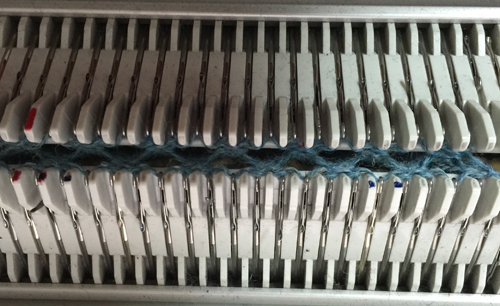 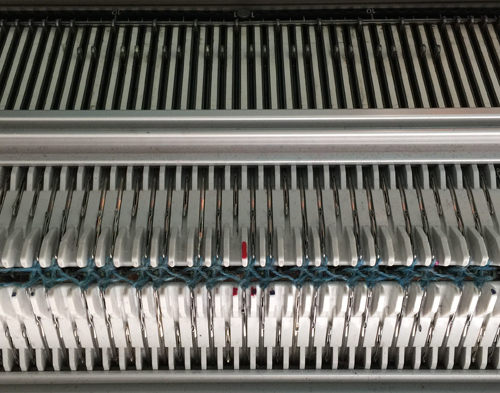 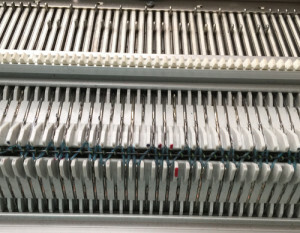 It in theory would produce a 2X1 “industrial rib that could transition to every needle or main bed knitting without any holes at the transition point. 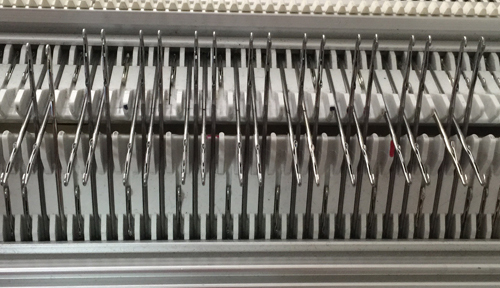 Note here there is a needle in work between each pair of needles on the opposing bed. 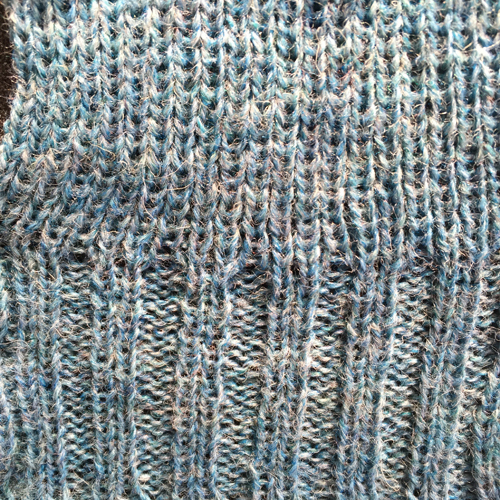 Some experimenting is required to achieve cast on rows in rib that are not too loose or too tight. 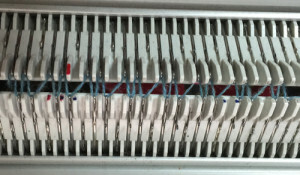 In this instance there has to be enough slack in the loops so that there is room for racking one full turn, too much will leave loops. 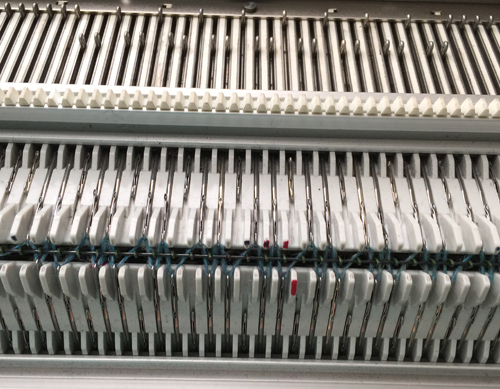 Loops created by cast ons with deliberately large stitch sizes may in turn be chained off with a latch tool. 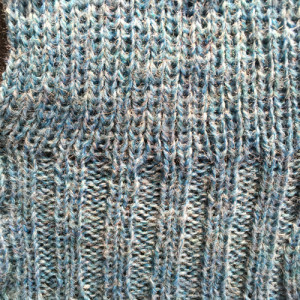 The stretch factor and weight of the resulting rib also needs to be in balance with the remaining knit fabric. 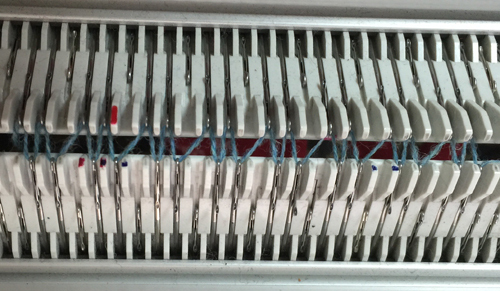 If “improvising” it is always advisable to keep good notes. 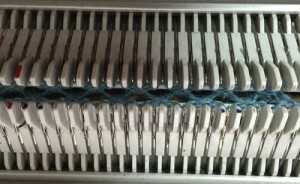 Most publications and how tos are really guidelines, starting points for investigating what may be the best method to use in any one piece.